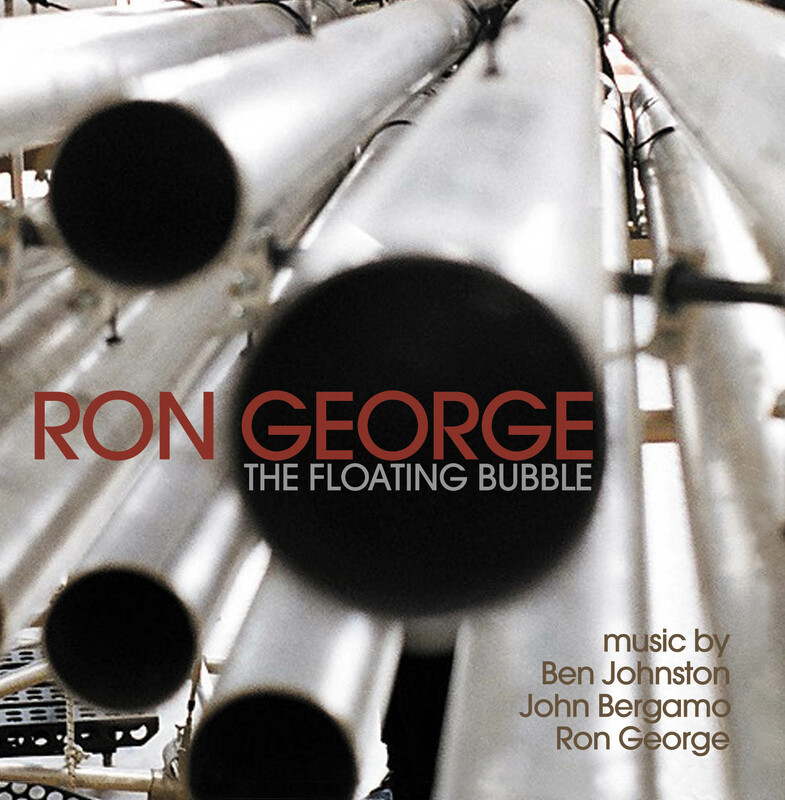 innova Recordings announces the release of The Floating Bubble, a CD of music written for and by noted new-music percussionist, instrument designer/inventor Ron George, and featuring such George-designed instruments as the Tambellan, his idiosyncratic American gamelan. In the company of noted Los Angeles percussionists and new-music champions John Bergamo, Amy Knowles (California E.A.R. Unit), Erik Forrester, David Johnson, and others, George performs intensely beautiful music by Ben Johnston, John Bergamo, and George. Bergamo’s Gupta Sloka Chanda was written for Ron George and dedicated to Bergamo’s first teacher of North Indian tabla drumming, Mahaparush Misra. Scored for five mallet instruments and soloist (George), it's in three connected movements: “Peshkar” (Introduction), “Khyal” (in a lyrical style), and “Jhala” (a fast-paced music). The five mallet parts are written out, but the soloist's part is entirely improvised. Ben Johnston’s Sleep and Waking, written for George, is a three-movement improvisation in which the composer controlled the pitch content and the performers control all other elements. Written in the gamelan idiom, the piece employs instruments that George designed and built during the composing process. Its title comes from a statement by the Greek mystic G. I. Gurdjieff: "If you begin to think about it, you will see that, whatever you do, you will do it better when you are awake than when you are asleep." Ron George’s The Floating Bubble is scored for a Tambellan ensemble of seven percussionists, and a soloist (George). The music is based on a very slowly evolving rhythmic/timbral structure that culminates in a loud climax. Following this climax is a short solo, which allows improvisation, and a section played on bamboo keyboards. Then the slowly evolving rhythmic/timbral structure returns and continues to the end of the work. John Bergamo discovered the classical music of North India before graduating from the Manhattan School of Music. Much of his work for the last 40 years shows the influence of the styles and techniques of that music, both during his years as founder of the Percussion Department at the California Institute of the Arts’ School of Music, and his participation in such groups as the Repercussion Unit, Bracha, and the HandsOnsemble. Ben Johnston, described in the Los Angeles Times as “our gentlest persuader ... a composer able to make both radical thinking and avant-garde techniques sound invariably gracious,” studied with Harry Partch, Darius Milhaud, and John Cage. Johnston taught composition and theory at the University of Illinois from 1951 to 1983. Ron George (1937-2006) was a highly regarded percussionist, composer, instrument builder, and educator who studied composition with Robert Erickson and Pauline Oliveros, theory with Ken Gaburo, and percussion with George Gaber. He was also a Zen Buddhist priest. George designed and built many unique percussion instruments, including the Loops Console, the Super Vibe, and the modular Tambellan. He also developed a variable microtonal tuning system and a notation system for both traditional and his self-designed percussion instruments. Ron George performs three works, one of his own compositions, for percussion. The first, John Bergamo's 'Gumpta Sloka Chand' is a piece in three sections scored for five mallet parts and intended to be played on George's Console, a multiple percussion device that he built. The middle section , with bowed vibraphone, is quite tranquil, while the quicker ending section is busy and clangy. Ben Johnston's 'Sleep and Waking' uses a gamelan created during the compositional process specifically for the piece. 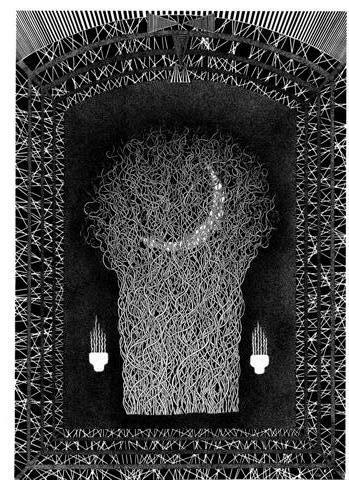 The work thoroughly explores the dichotomy between states of slumber and activity and is sometimes narcoleptic. George's piece, 'The Floating Bubble', is the first work composed for his modular Tambellan and involves seven performers and a soloist playing basic rhythmic structures at specific parts of the instruments at specified times. The microtonal work builds to a crest before a solo section and then starts its timbral and rhythmic structure again. The composer simply demonstrates for the performers what is to be played in each section,' to quote the liner note. Such an approach is a recipe for tedium or disaster in the wrong hands but it is very successful here, so successful in fact that it made this listener/composer wonder how such subtle long-range structures can be shaped with such minimal scoring.